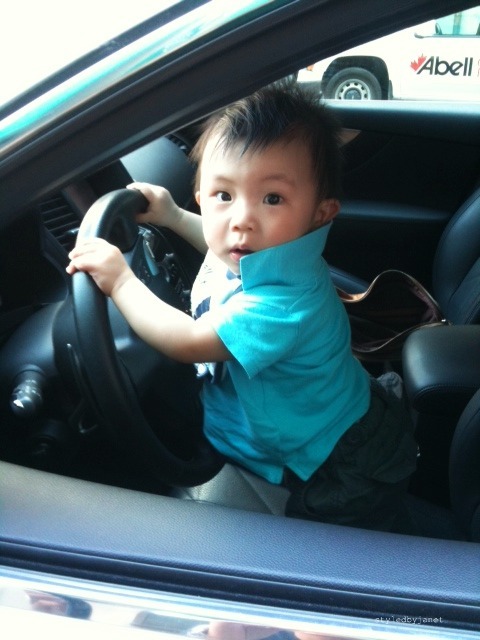 STYLED BY JANET: OUTFIT DU JOUR - Hey babe, you need a ride? 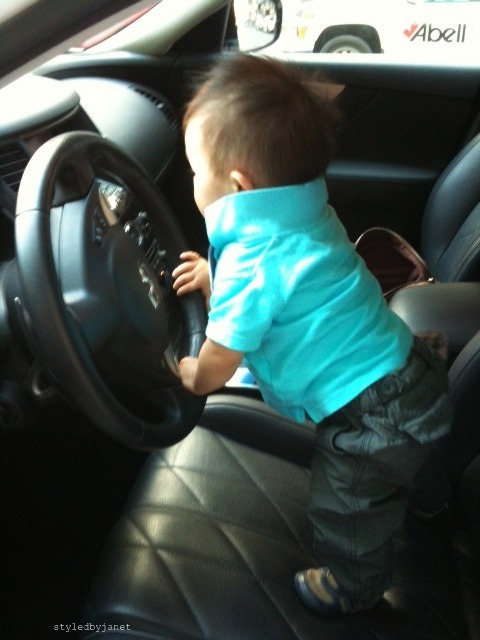 Forget about potty training; my son is far more interested in driving! 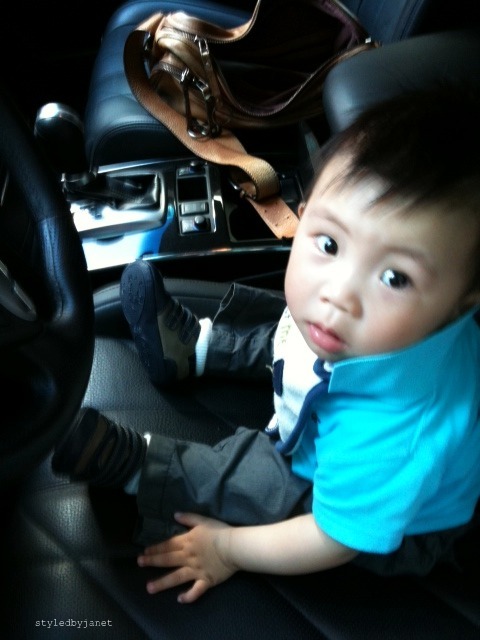 Just put him in the driver seat and he knows exactly what to do, where to look. If I'm lucky, it might soon get a private chauffeur...but most likely, I'll just get an eager teenage driver borrowing my car every other day.